But first, a little background information. What are these “Three Dimensions of Sync” referenced in the original question? Synchronization is the process of getting two or more machines to operate together as one. 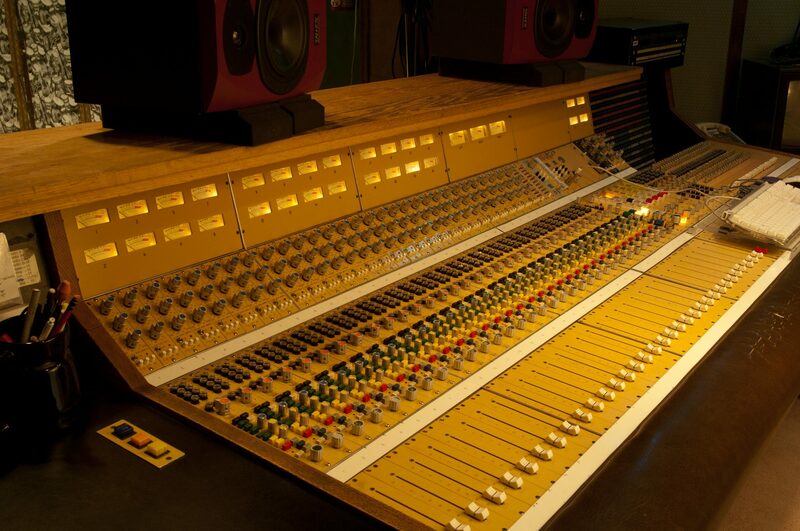 In a recording setup, the machines might be a multitrack tape recorder and an automated mix console, an electronic music sequencer and a drum machine, a computer based digital audio workstation and a video system, or some Frankenstein monster that consists of all of these things. Whatever components make up the system, if they’re going to be part of a recording system, they’ve got to be able to play together like members of a band. That means starting at the same point in time, playing along at the same speed, and keeping track of their location in the piece in case it’s necessary to pause and then pick up from the same point. If you can imagine how musicians are able to meet the above requirements in order to perform together, than you’ve got the basic idea behind the three dimensions of sync! Live musicians will have to rely on talent, skill, and practice in order to be effective as a musical ensemble. For machines, though, it’s a question of electronically communicated signals or messages. Reliable synchronization systems for recording and playback of audio, film, and video have been around in one form or another since the film world’s silent era gave way to the ‘talkies,’ and these systems have evolved considerably to keep pace with today’s multimedia production environments. But from the old school to the new, if a system is going to provide useful synchronization, it must be able communicate the Three Dimensions of Sync: Transport, Speed, and Position. Transport: The ability to communicate start and stop. If my machines are properly sync’d I should be able to press the play button on one and have them all play, and I should be able to press the stop button on one and have them all stop. Speed: A musical composition will have a tempo, and to be performed properly, all musicians must play at the same tempo and be able to compensate for changes. Our machines should be able to do this as well. Even non-musical recordings require synchronized machines to maintain the same speed. This speed could also consist of frame rate or sample clock. Position: If the recording or playback process is stopped, properly sync’d machines should know their location within the program material so that the can pick up and continue from the same point. For that matter, they should be able to be instructed to return to the start or pick up from any specified point. Different machines within a properly synchronized system can be assigned to provide each of these necessary functions, but for each dimension there can be only one master, and all devices, which are not acting as the master, are synchronization slaves. Well, that’s enough background to understand what’s necessary to achieve good sync. Does the MIDI Beat Clock message mentioned in our question measure up to the task? Stay tuned as we continue exploring the MIDI Beat Clock and the Three Dimensions of Sync. READ PART 2 NOW.